There are few things quite as disgusting as encountering a group of roaches in your kitchen. Whether they’re scattering across the floor when you turn on the light or running across the bottom of a cupboard, roaches are an incredibly unpleasant bug to have in your home. The key to effective roach control is taking the right approach. If you’re looking to eliminate roaches in your home, it’s a good idea to educate yourself about them first. In this guide, we’ll take a look at the 7 most important things you need to know about cockroaches. Let’s get started. Lots of bugs have been around for millennia, but roaches are particularly old. In fact, a prehistoric cockroach was recently discovered in a 100 million year old piece of fossilized amber, and there’s fossil evidence demonstrating that roaches have been around for 300 million years. The fact that cockroaches have survived for hundreds of millions of years is a testament to how difficult it can be to get rid of them. Some cockroaches are capable of producing an almost incomprehensible number of offspring. A single German cockroach, for example, can give birth to more than 30,000 baby cockroaches in a single year. Some insects need a steady supply of food in order to survive. Cockroaches, on the other hand, are able to go long periods without eating. In fact, a cockroach can survive for up to a month without any food at all. This means that simply eliminating easily accessible food sources isn’t necessarily an effective way to get rid of them. This fact may seem impossible to believe, but it’s completely true. A cockroach body that’s been decapitated can continue to survive for up to an entire week. This is thanks to the cockroach’s open circulatory system, combined with the fact that they breathe through their body rather than through their head. Roaches prefer sweet, starchy foods, but that’s not all they can eat. Far from it, in fact. Part of the reason why roaches are so good at surviving is their sheer ability to live off of just about any food source. This includes glue, books, hair, leather, and even soap. 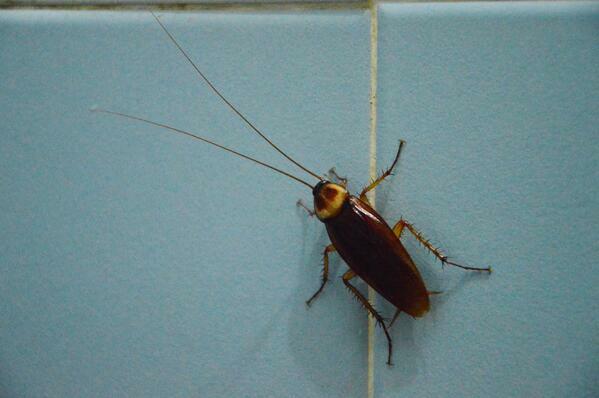 Unlike some insects, roaches are incredibly difficult to kill. For one thing, they can hide in hard to find cracks and crevices in your home. More importantly, though, their eggs are well protected against insecticides. This means that over-the-counter pest control products are unlikely to eliminate a roach infestation. While many insects are simply a nuisance, roaches are genuinely dangerous. The debris that they leave behind can aggravate allergies and contribute to asthma, particularly in children. They’re also capable of spreading E. coli and salmonella, along with diseases like tuberculosis, typhoid, and various respiratory illnesses. They’ve even been known to transmit parasitic worms. Considering how dangerous roaches can be -- along with how difficult they are to eliminate on your own -- it’s important to enlist the help of a roach control professional if you’re suffering from an invasion. Home Pest Control has the tools and techniques to eliminate roaches in your home immediately. Call us today, or click below to learn more about our Home Shield Pest Prevention program.